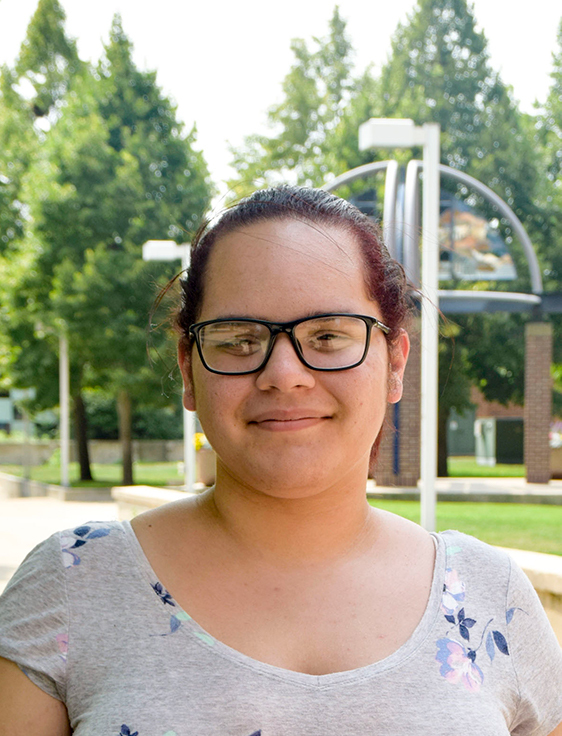 Shirley Albiter is a Senior In the Criminal Justice program, from Wauwatosa, WI. Currently she works as a Lead Campus Ambassador in the Office of Undergraduate Admissions. She has also spent her summer as an Orientation Leader. After Undergrad she intends on pursuing her Masters within Student affairs . During her time off she enjoys adventuring the outdoors with her younger siblings and family. This is her second year as a Lawton Scholar Advocate. 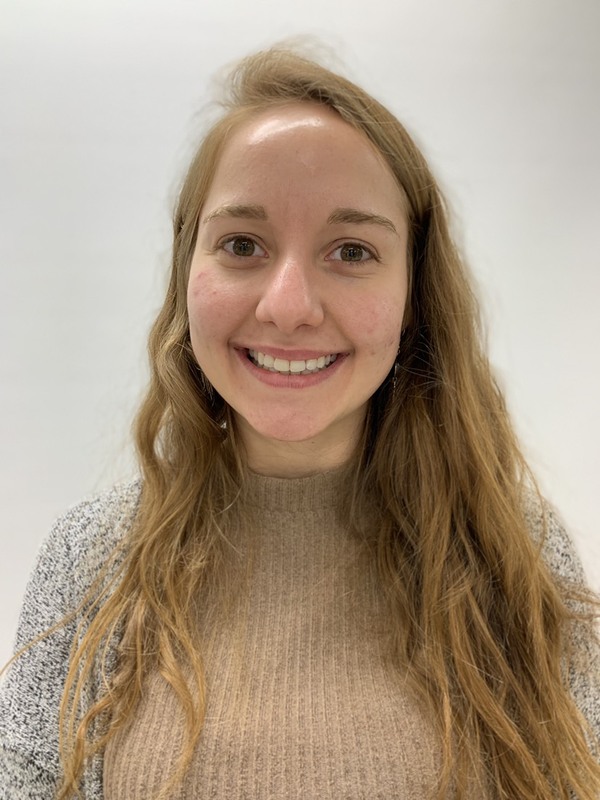 My name is Liliana Anderson, I am a Senior at UWM. 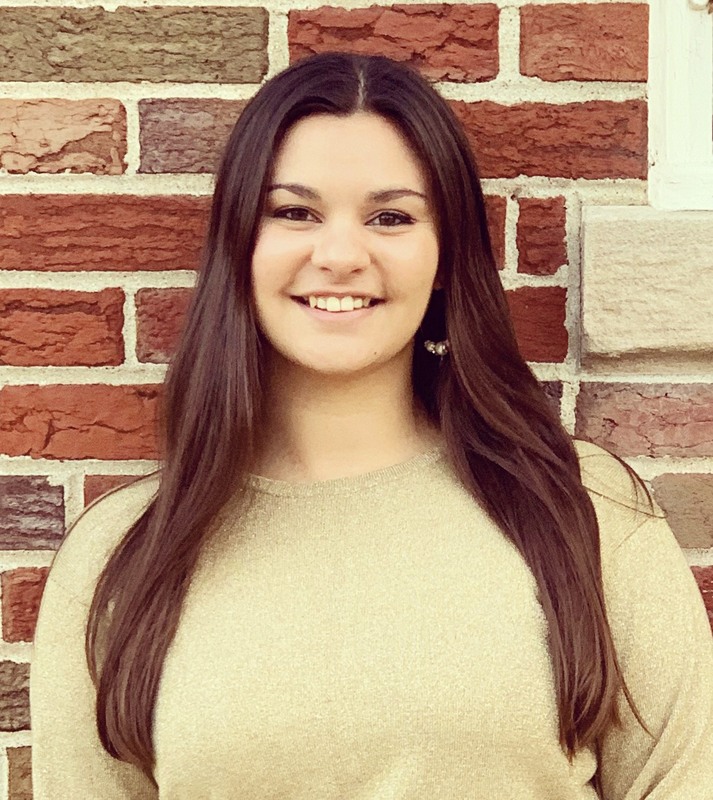 I am a psychology major who aspires to be attending Law School after graduation for the Fall of 2019. In addition to being a student, I am also a wife and mother of four children. Although my daily life can be a little hectic, I am motivated to graduate and continue to work within my community to invoke social change and justice for the people impacted by certain circumstances like poverty, crime, and those who are suffering disadvantages based on their race/ethnicity. Last year was my year as a Lawton Success Scholar Advocate, but now I am a Lead Advocate. I was interested in the role as a lead advocate because I am the oldest of five children and I’ve always been the leader in my family, the one that people turned to for advice, motivation, and sometimes just a listening ear. I would like to be that for all my scholars as well. 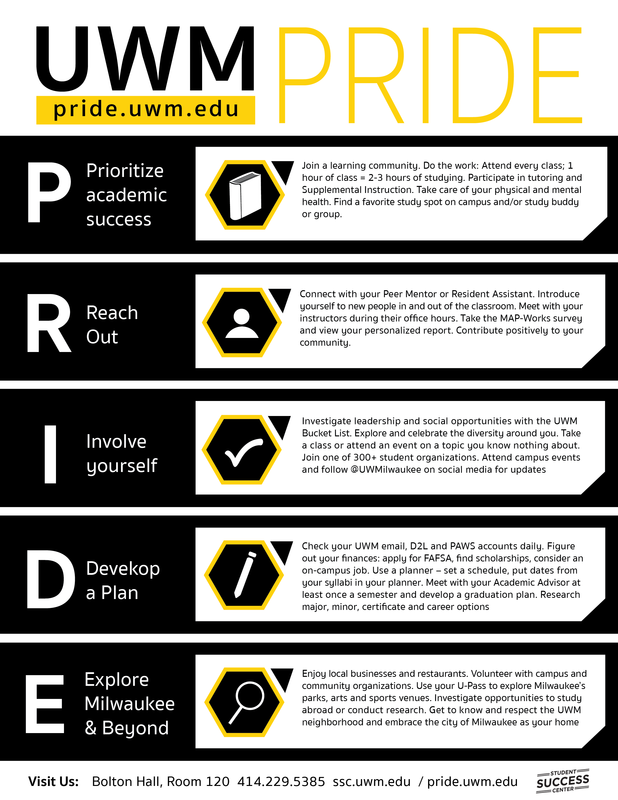 I would like all students at UWM to know that despite whatever challenges you are going through today, that those challenges do not determine your tomorrow. My name is Jordan Andre and I am a Senior at the University of Wisconsin-Milwaukee. I am majoring in Actuarial Science with a minor in Economics. I currently work part time at Sapinski Law Office. In my free time I enjoy going to concerts and watching movies. This will be my second year as a Success Advocate but my first semester as a Lead and I’m really looking forward to it! 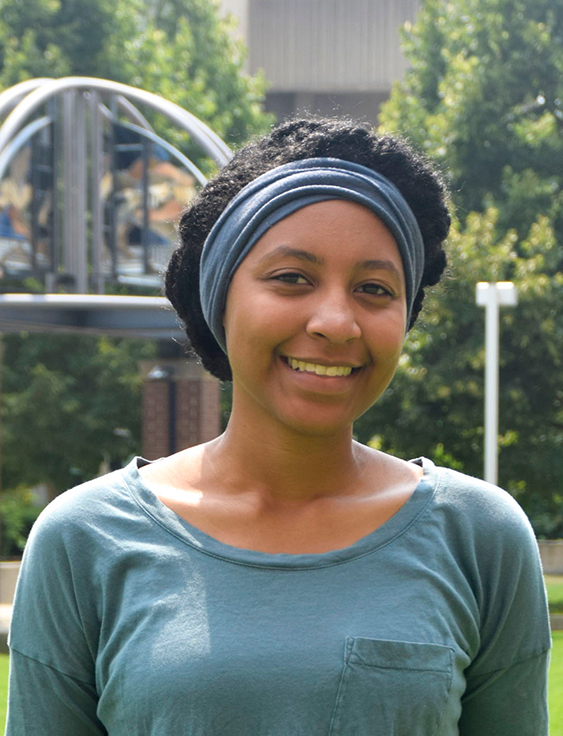 My name is Alexis Barner and I am a senior majoring in Biological Sciences. After graduation, I intend on applying to the Medical College of Wisconsin in pursuit of becoming a physician. I absolutely love helping and giving of my time and skills to my community. In the future, I wish to open a clinic for low income families. I love playing Phase 10, Life, and Catch Phrase with my friends; recently I have been learning how to play chess. My favorite place to go in Milwaukee is the Lakefront, there’s just something about the waves and their motion that is awe-inspiring. My name is Nestor Murillo Barron, I’m a senior majoring in Accounting here at UWM. I was born in Guanajuato, Mexico but I’ve lived in Milwaukee for half my life. I currently have an internship at Northwestern Mutual where I divide my time in the Budget & Expense Management and Enterprise Risk Management departments. Last semester I became a member of Beta Alpha Psi and I’ve been part of Omega Delta Phi Fraternity since Fall 2016. During my free time I like to watch movies and spend time with friends. This will be my second year as an Advocate for the Lawton Scholars and I cannot wait to make new experiences. 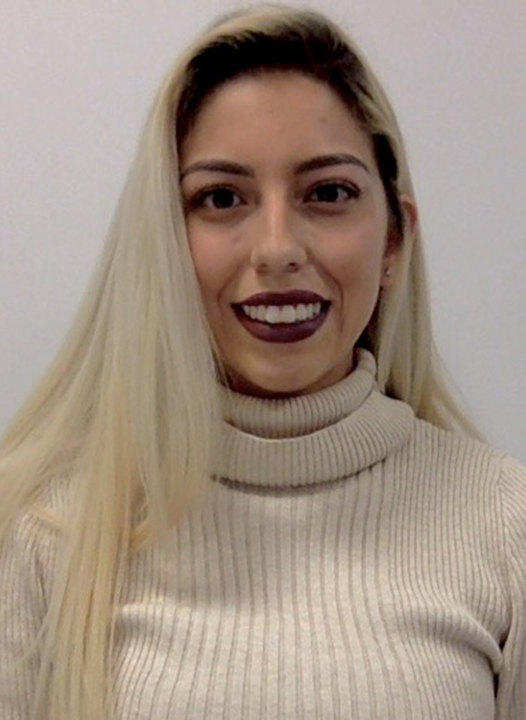 My name is Yasmina Bazie, and I am a senior majoring in Industrial and Manufacturing Engineering here at UWM. 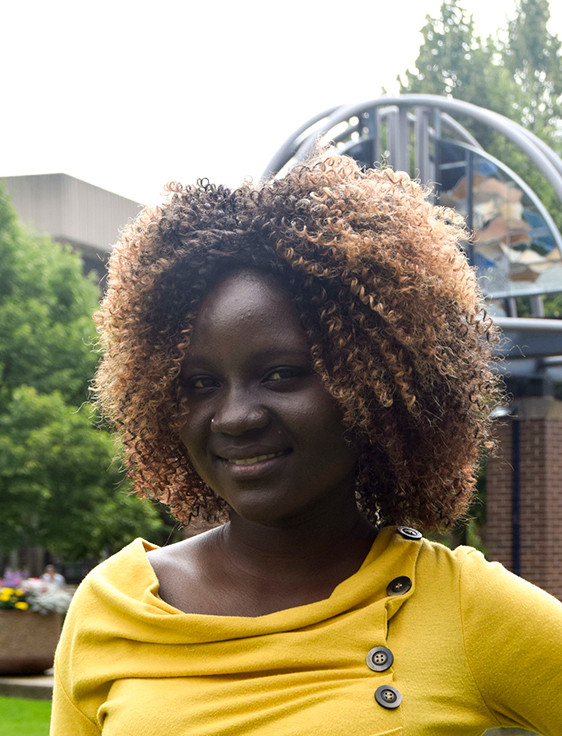 I am a first-generation college student from Burkina Faso in West Africa. My native language is French, but I am also fluent in English after moving to the United States in 2013. This will be my third year as a Lawton Scholar, and my second semester as an advocate. I enjoy being an advocate and getting the opportunity to meet people from diverse cultures and help them to get involved on campus. For fun I like to watch movies, and I love shopping. I also really enjoy cooking and trying new foods- but when I’m not cooking I love to eat pizza! I am looking forward to another fun year as an advocate! Stephanie is a Senior studying social work and plans on continuing to graduate school and eventually getting her clinical license. 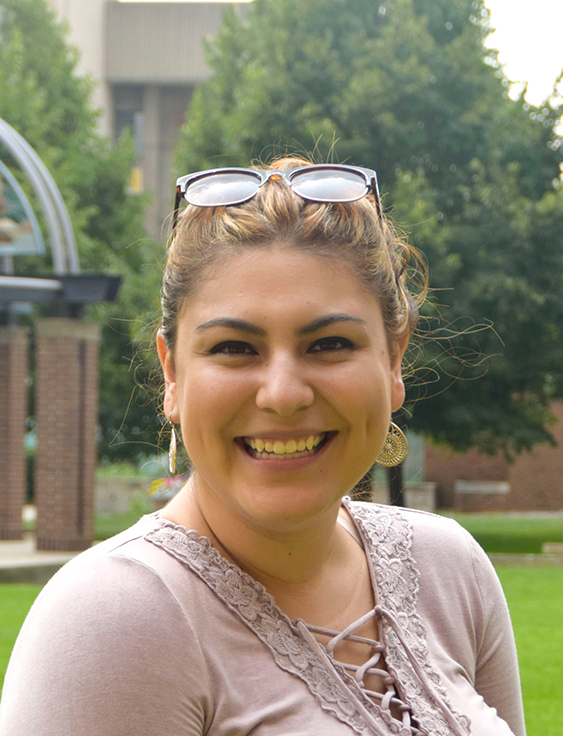 As a returning adult student after her military service and two young children at home, she understands the variety of hardships and obstacles students can face and hopes that her position in the IEC will allow her to support and encourage her fellow classmates. 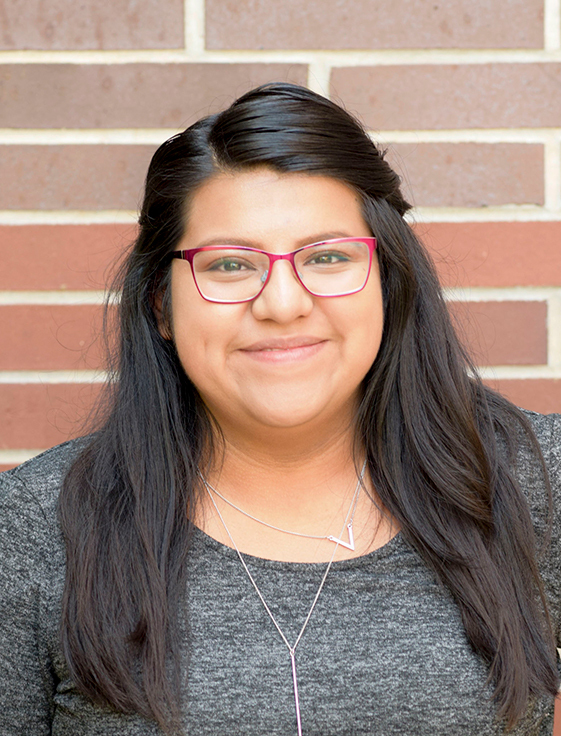 She is particularly passionate about all individuals having access to higher education and is invested in helping undocumented students in her position as the DREAMER assistant. Stephanie is also an officer in an organization on campus for 1st generation students and regularly volunteers at Walker’s Point Youth and Family Center. Stephanie enjoys exploring all the diverse festivals and events that Milwaukee offers but hopes to return to Washington in the future to raise her family. Ajay is a Senior, majoring in Biological Sciences here at our UWM campus. He is a first-generation student who is striving to become a future physician. 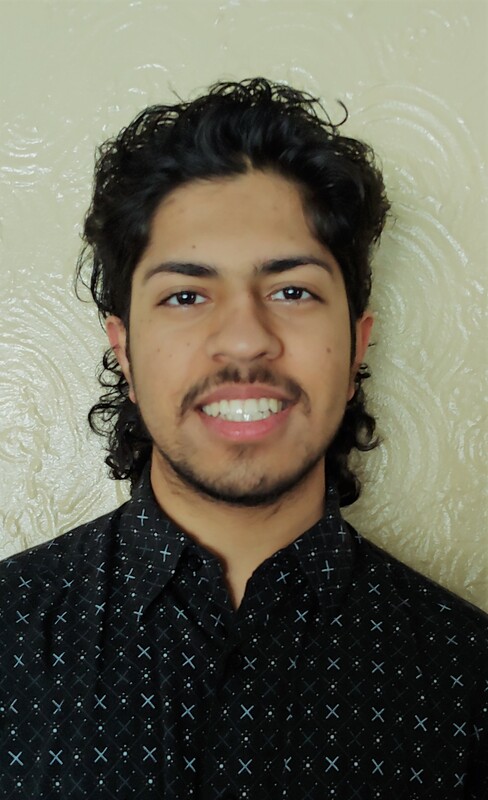 In his spare time, Ajay enjoys part-time research and also volunteers at youth clubs in effort to help better his community. He hopes to be a great resource to his peers and scholars. My name is Andrew Flores and I am in my Senior year here at UWM. I am originally from Kenosha, WI and am a first-generation college student. I enjoy spending time outdoors and watching movies. Since coming to Milwaukee, I have grown proud to call this my home and I look forward to continue exploring everything that this great city has to offer. My name is Ciara Gaines and I am senior studying Human Resources Management. Post-graduation I plan to attend graduate school where I will be seeking my MBA with hopes to land my dream job in a managerial role. During my free-time I enjoy hanging out with family and friends, cooking, and being outdoors. This will be my third semester as a Lawton Advocate and I look forward to learning more and doing more in this leadership role. I am excited for this upcoming year and I can’t wait to work with my scholars and the other advocates! 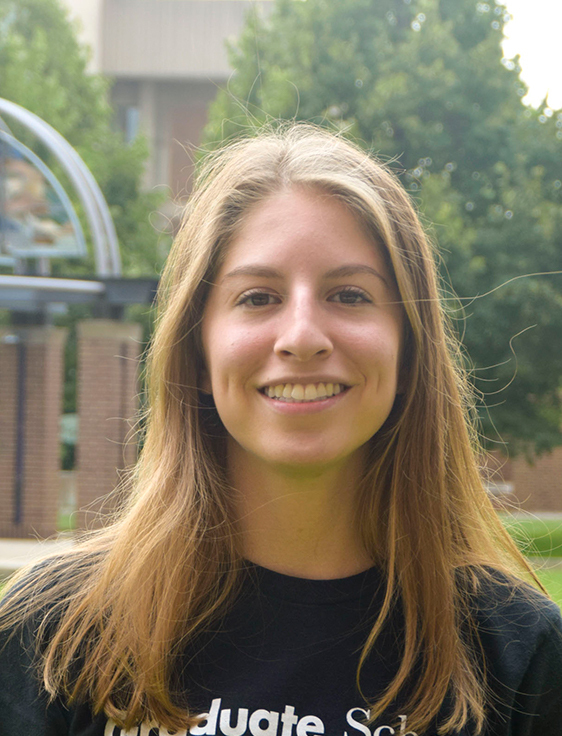 My name is Olivia Gloria, and I am a senior Biology and Pre-Dental student. This is my second year as a Lawton Scholar Advocate. I hope to become an approachable resource for first-generation students during my time as an advocate. I am very involved in undergraduate research and am interested in anything relating to bio-medical topics. I hike and run in my spare time. I am also heavily involved in volunteering throughout Milwaukee city. 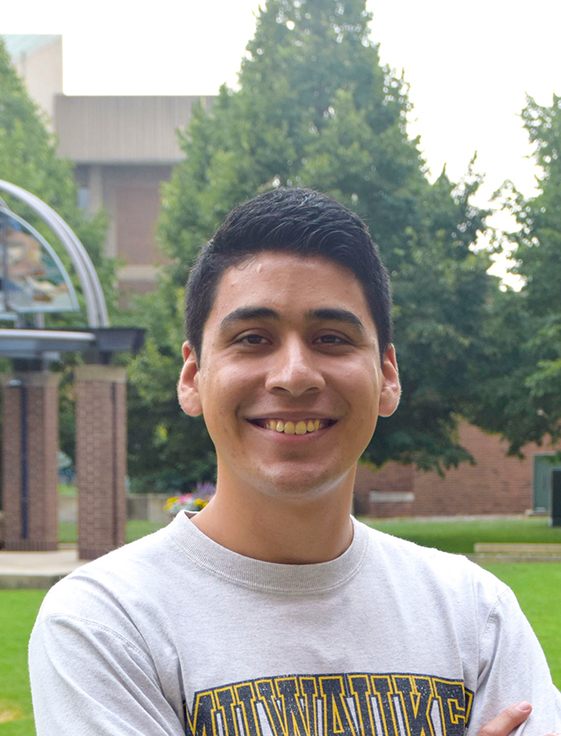 Tyler Hernandez is currently a Junior in the Supply Chain and Operations Management program. While pursuing his degree, he works at U.S. Bank as a bank teller and enjoys helping other people. During his off time he enjoys spending time with family, traveling and learning new things. 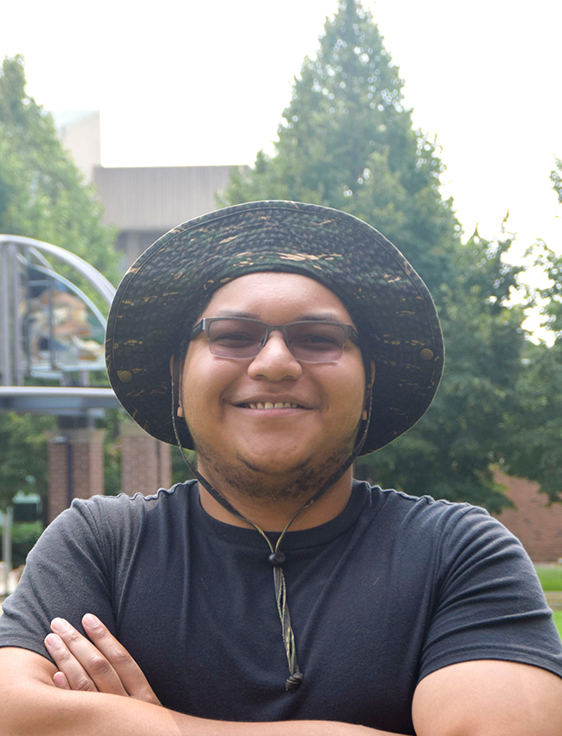 This is his first year as a Lawton Success Advocate and he is excited to work with other great scholars here at UWM! My name Visone means “from wrong to right” given to me by my parents. I am a fourth year nursing student at the University of Wisconsin Milwaukee. I am the middle child of six kids, meaning I’m the unlucky one who has a lot on his plate. Fun fact about my family is that we came to the United State in year 2000. I learned to enjoy the outdoors and sports as I grew older. I am strong in my faith by going to church every Sunday. Many people would describe me as mysterious and strange. If there is one thing I could change it would be my height. I am not a big fan of animals that can hurt you but I do love farm animals. I was on the 2018 state fair commercial and worked at St. Lukes. There are many things I haven’t done in life but one thing I would really like to do would be to sky dive. Thanks for reading. Tou Jim Lee is an experienced marketer, innovator, and entrepreneur. 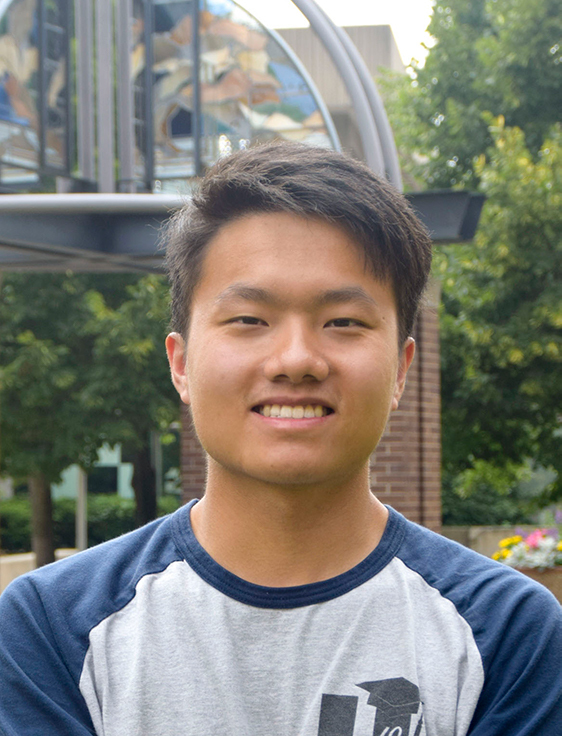 Lee currently attends UW-Milwaukee, pursuing a degree in Marketing and certificates in Entrepreneurship and International business. Driven by personal goals, he has held multiple leadership roles in college and in the community. He was also one of the four selected to represent UW-Milwaukee to participate in an elite worldwide program with Stanford University. Lee’s passion is in entrepreneurship/startups, marketing, and business. My name is Gabriela Leon, but you can call me Gaby. I’m originally from Kenosha, WI and I’m a first -generation college student. I moved to West Allis to be close to UWM. I decided to pursue a degree in Social Work, in order to help my community and youth along the way. Some of my hobbies include listening to music and watching movies. Outside of school I enjoy spending time with family and friends. I’m excited to have the opportunity to be part of the Lawton Scholars Success Advocate team this year! 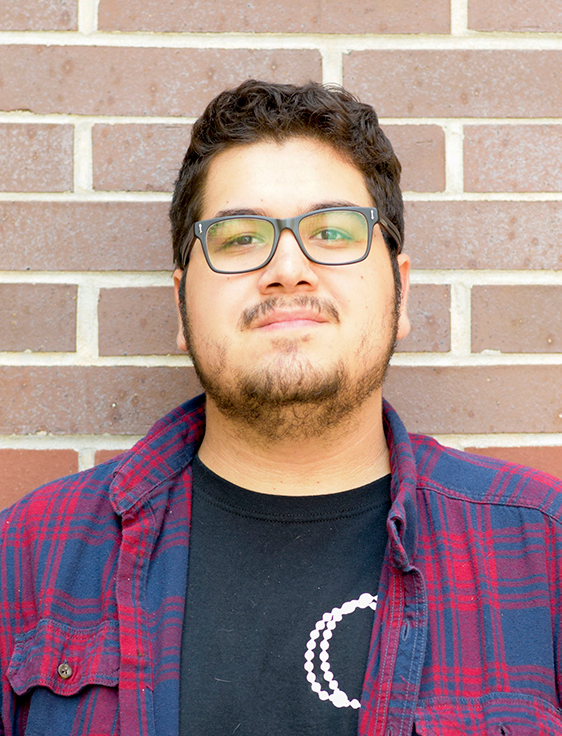 My name is Manuel Mora, I am a senior, double majoring in History and English in the creative writing track here at UWM. I was born in the city of Milwaukee and have lived here my whole life. 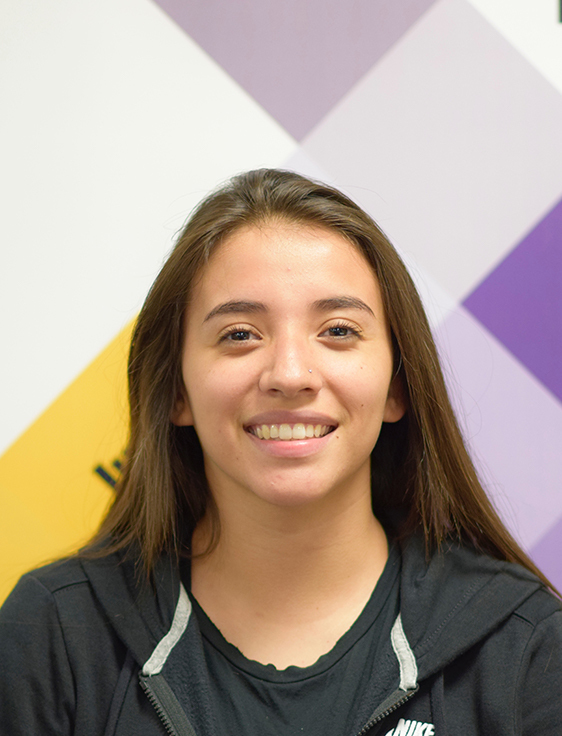 My parents are from Mexico, and as a first-generation student I have looked towards my mentors and peers in school to help me navigate through college. I enjoy reading fiction, mostly short stories, as well as writing short stories of my own. Watching movies and listening to music are other things that I do to relax. I have been a Lawton Scholar for two years and have learned a lot in those two years. As a Lawton Advocate I plan to learn a lot more, as well as help other Lawton Scholars. I plan to graduate in the Spring of 2019, and after graduating I plan on going to Graduate School and continue writing. 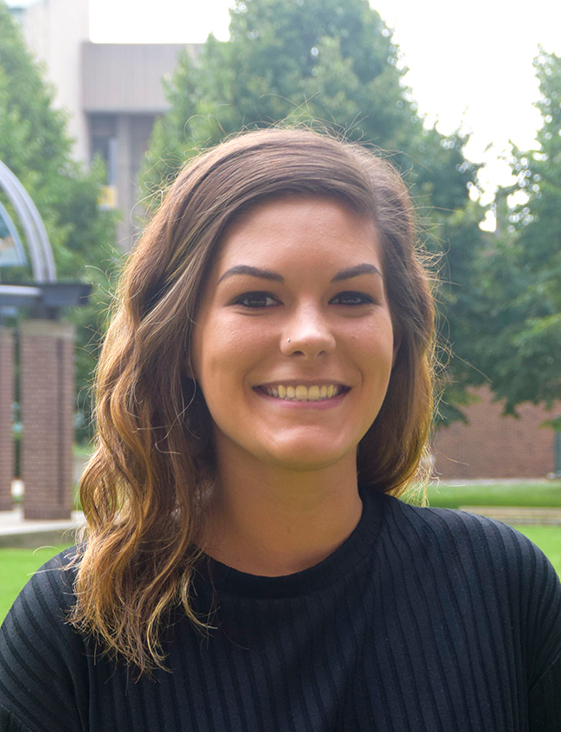 I’m Kayla Paepke, a senior in the Healthcare Administration Program here at UWM. I love to help others and volunteer around Milwaukee. My hobbies include: dancing, reading personal development books and spending time with friends and family. 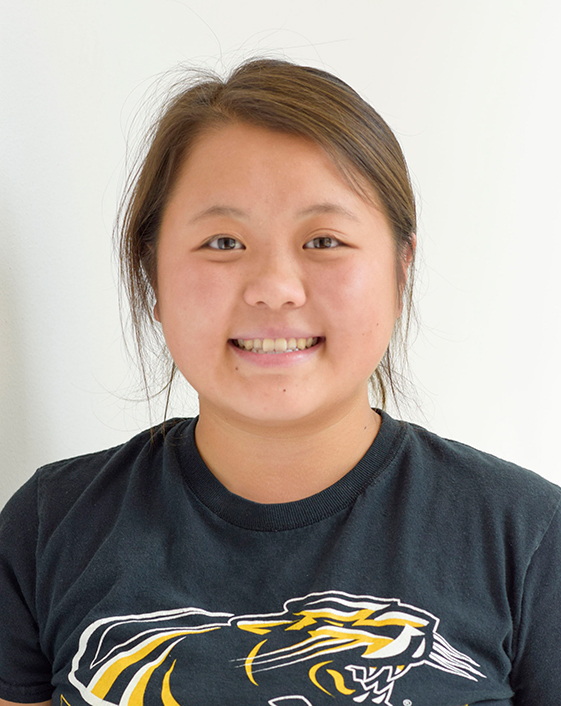 My name is Eveelid Quirino and I am currently a Junior at UWM majoring in Nursing. I am a first generation student and I am thankful for those around me who support me every step of the way. This is my first year as a Lawton Advocate and my second year as a Lawton Scholar. As a student here at UWM I am involved in an on campus organization called Colleges Against Cancer who partners with the American Cancer Society to raise awareness and fight against cancer. When I am not in class or at work I enjoy hanging out with friends, listening to music or simply exploring Milwaukee. I look forward to working with all the Lawton Advocates and Scholars! 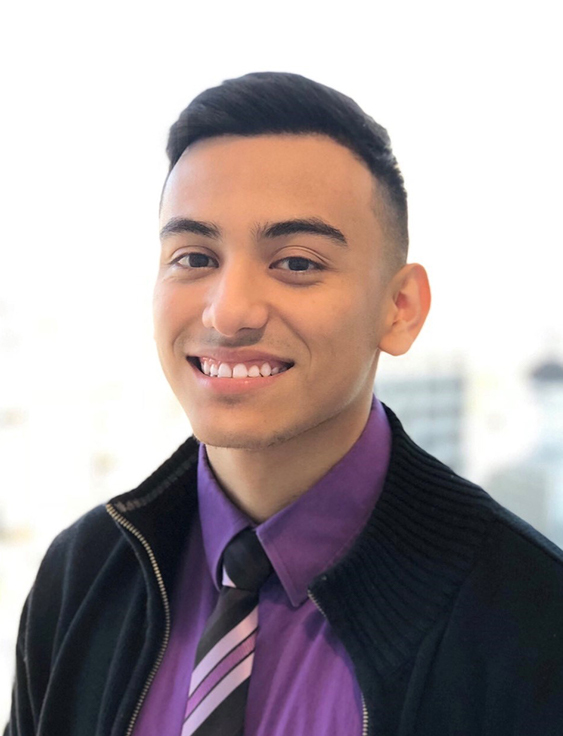 Izaiah Ramirez is a Sr. this year at UW-Milwaukee and is excited to begin his second semester as a Lawton Scholar Advocate. His main focus of study is theatre acting and performance through Peck School of the Arts. After this semester he will graduate with a BFA in theatre and also be performing in UWM’s production of WIlliam Shakespeare’s The Tempest. 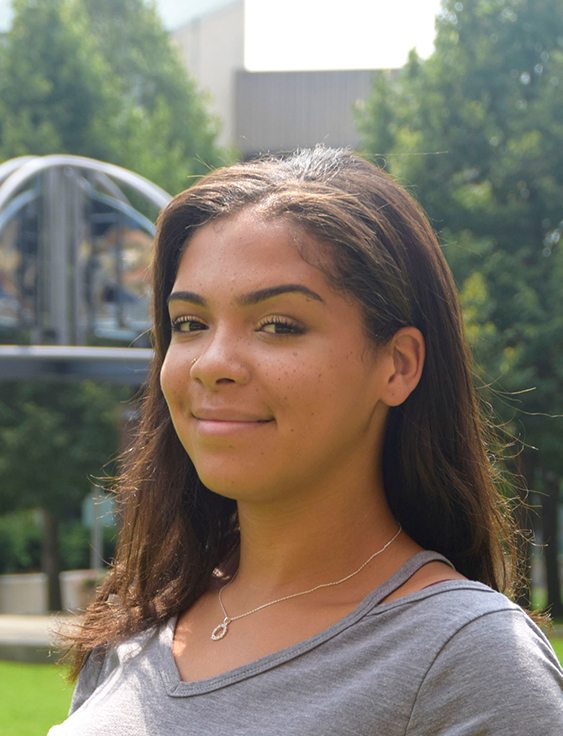 My name is Danielle Randle and I am a senior at UWM pursuing a degree in Accounting. After graduating in the summer of 2019 I plan to move on to my master’s degree at UWM and begin preparation for obtaining my Certified Public Accountant license. Apart from school I spend most of my time with my three year old daughter who is my biggest motivation for becoming successful. Other interests of mine include suspenseful TV shows and all things music and dance. I look forward to getting to know everyone and assisting in all of your successes! My name is Dennis Regalado and I am going to be entering my senior year at UW-Milwaukee. I am also very excited to be taking the role as an Advocate. Many people describe me as fun and intriguing. I enjoy spending my time going to see any new movie or hitting a workout at the Klotsche center! One of my many passions is exploring Milwaukee and taking advantage of what this loving city provides. Milwaukee is truly a wonderful experience when tackling the city with a group of friends! My name is Heriberto but I go by Eddie and I am a Mexican-American. I am originally from Chicago but my family and I moved to the Milwaukee area almost 12 years ago. I am going into my Senior year at UWM and anticipate to graduate in the Spring of 2019 with a Bachelor’s degree in Finance. I am currently the President of my Fraternity and also Co-President of the Multi-Cultural Greek Council on campus. I also have an internship at Robert W. Baird and I work in Private Wealth Management – Supervision. 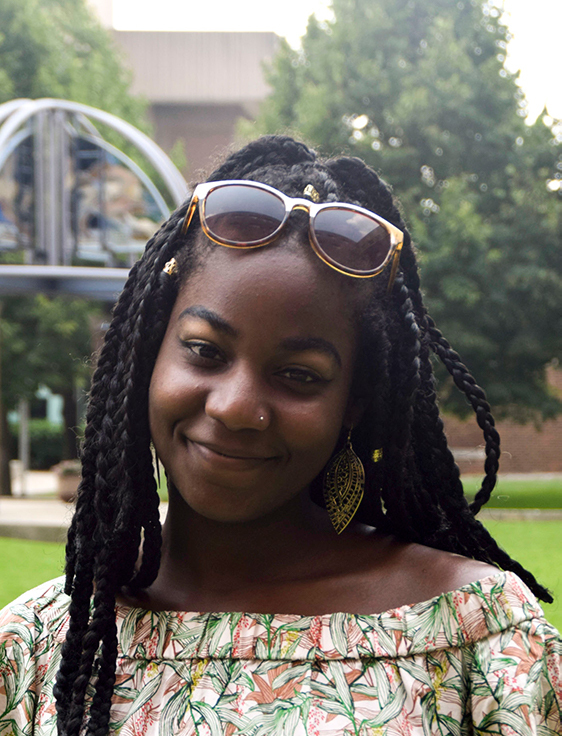 My name is Valerie and I am a junior in the geosciences program. My ultimate goal is to go to grad school to earn my master’s degree in geology/earth sciences. This is my first year as a Lawton Success Advocate. 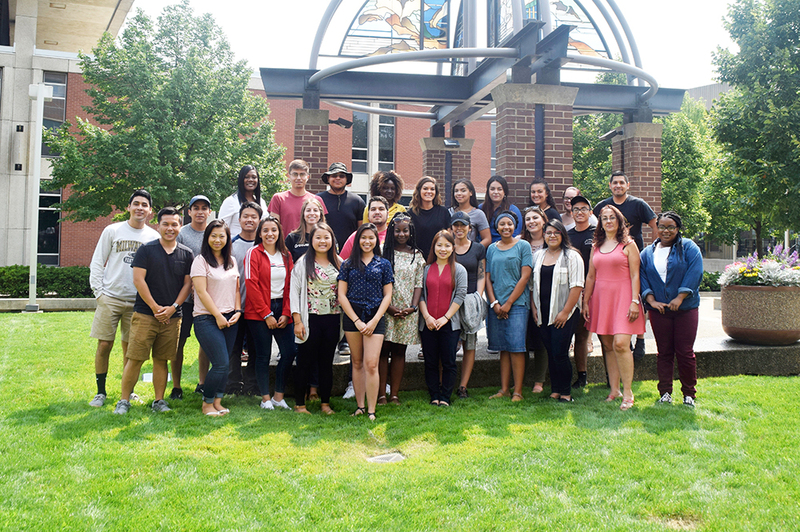 My goal through this position is to get to know and encourage other low-income, first generation minority students like myself to aim higher in their education. I am involved in undergraduate research, volunteer with the Roberto Hernandez Center as much as possible, and will work as an SI leader and tutor at PASS in fall 2018. Aside from school, I love finding new shows to watch, camping, and kayaking. I look forward to my role as a Lawton advocate this year! My name is Odalyz Santiago also known as Odi. I am your advocate for the year 2018-2019. I am senior majoring Social Work. My goal this year is to graduate and go on to get my Master’s degree. My favorite color is grey. My favorite animal is a giraffe. My favorite dish to eat is pasta specifically chicken alfredo. My favorite hobbies to do is reading and go bowling. If you need to contact me my email is odalyz@uwm.edu. Have a great year! My name is Roxana Smith. I’m a senior studying CES at UWM. After undergrad, I will continue my education by studying Environmental Law. I enjoy traveling and experiencing new cultures! Paajtshab Thao, but widely known as Jessie, is a creative designer who has a strong passion for art, music, and photography. 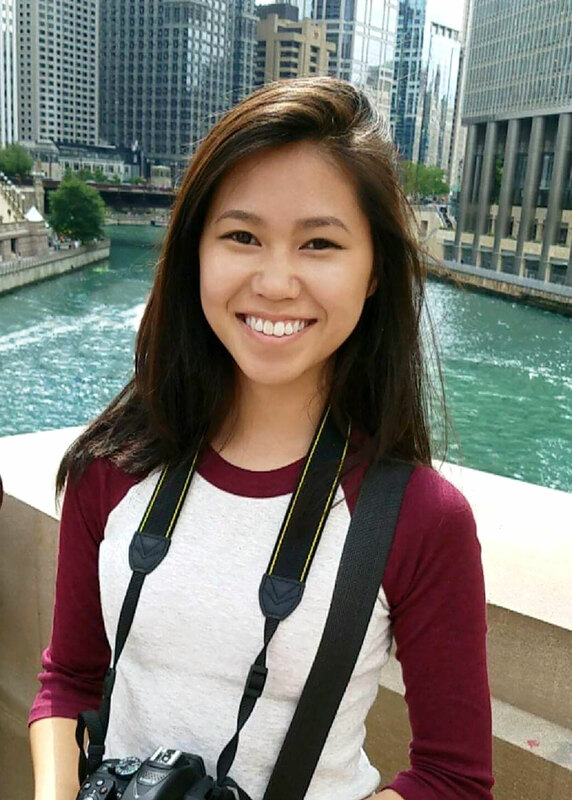 She is currently a senior at UW-Milwaukee majoring in Design and Visual Communication. She strives to create innovative and purposeful design while aiming for precision and believes that every experience provides a significant learning outcome(s). Jessie also holds multiple roles within the university besides a Lawton Advocate. She is the Vice President Gen1.0, a student organization for first generation students. She landed an internship at the University of Relations and Communications. 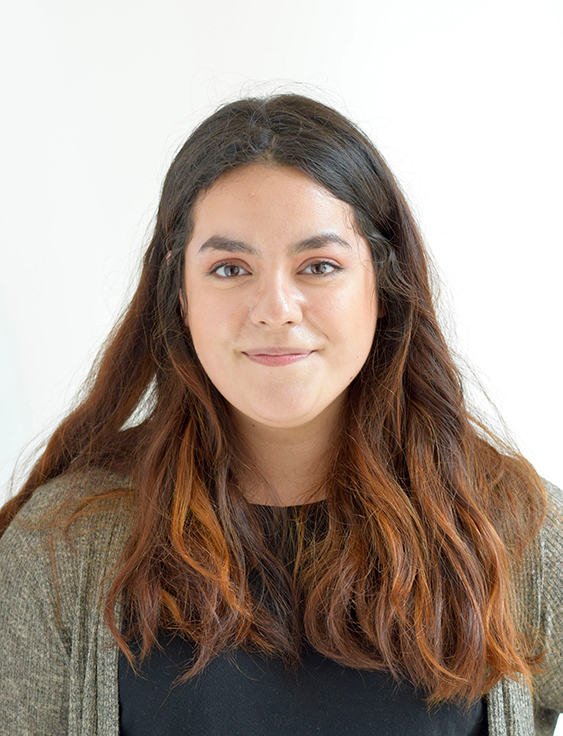 She has also had the privilege to give out tours of the art and design department and be a classroom assistant within introductory design course. In her free time, she enjoys traveling, teaching beginner piano back at her home church, and more importantly being with family and friends. 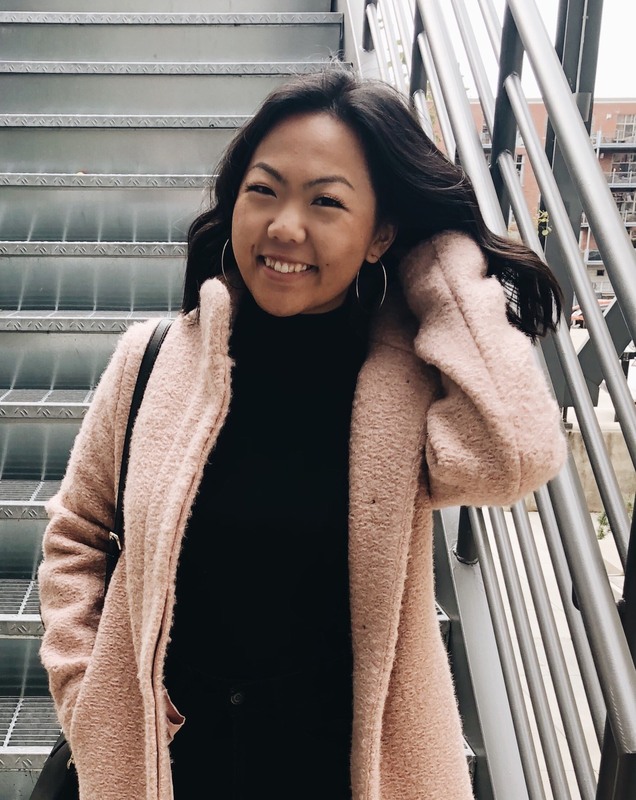 My name is Rose Thao and I am currently pursuing undergraduate degree in Health Care Administration with minors in business and health science. If I’m not studying in my favorite coffee shops, you can find me running, hiking and boxing. I have a huge family including four sisters and two brothers along with lots of nieces and nephews! My dream job would be having a career that works directly to close the health disparity gap in minority groups in the Madison and Milwaukee areas. Fun fact about me: I run half-marathons! My name is Pa Kou Vang. I am a first-generation student from Wausau, Wisconsin. I am a senior majoring in psychology with a minor in counseling. I will be graduating in Spring of 2019! I am also a part of Zeta Sigma Chi Multicultural Sorority Inc. Here at UWM, I’m serving as secretary and community service chair. Currently I am a Behavioral Treatment Technician with WEAP, working with adorable kids! This will be my first year as a Lawton Advocate and I am looking forward to a great year. 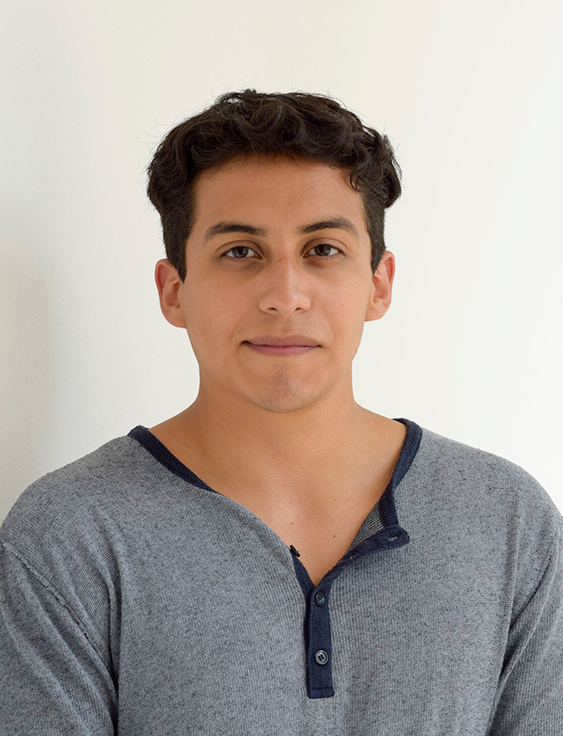 Xeng is an aspiring physician and plans to attend medical school. He is currently a junior majoring in Microbiology at UW-Milwaukee. Previously, he conducted research under Dr. Alan Mast at the Blood Research Institute. 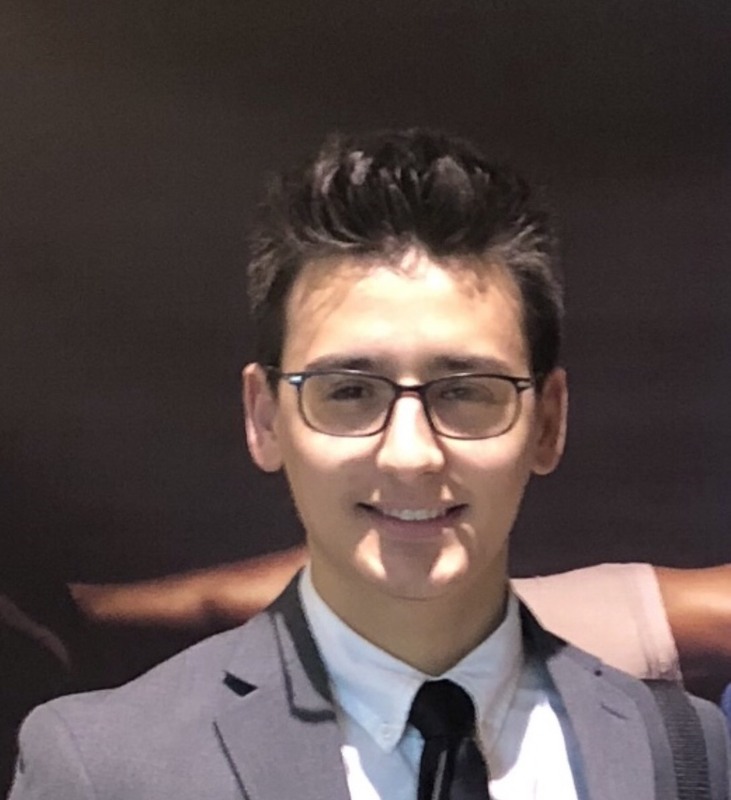 Additionally, Xeng has made it to UWM’s 2016 Public Speaking Showcase and has presented his research with Dr. Alan Mast to the Medical College of Wisconsin. On his free time, he enjoys playing basketball, videogames and hanging out with friends. This will be his first semester as an Lawton Scholar Advocate.